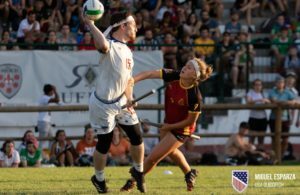 With a host of all-star returners including USNT’s Bailee Fields and Austin Outlaws’ beaters Ryan Nawrocki and Jessica Markle, Texas State University should be the odds-on favorite to win the college title. For the Bobcats to meet expectations this year, however, they would have to win USQ Cup 12. 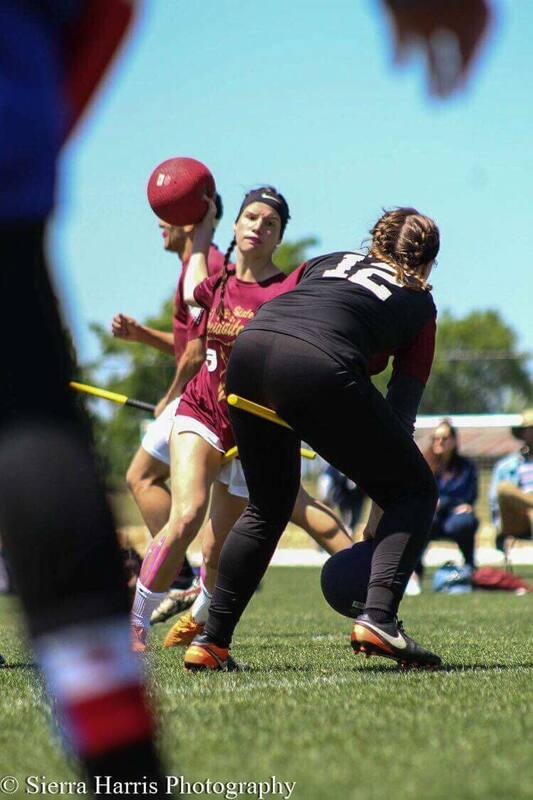 This gives the Bobcats no margin for error with a host of other elite college teams on their heels, including University of Texas, UCLA, University of Kansas, UC Berkeley (Cal Quidditch) and University Maryland. Taking the field over Texas State is surely a safer play. The biggest pain point for Texas State this season will be the departure of seeker Steven Gralinski, who led Texas State to a collective 33-15 SWIM record the last four years and has been the go-to seeker for Texas State for the past five seasons. Moreover, Gralinski was instrumental in bailing Texas State out of in-range games quickly. In Texas State’s in-range games last season, Gralinski caught the snitch in an average of 98 seconds, making Texas State one of only two college teams that both had a median grab time under 100 seconds and caught at least six game-winning catches. Gralinski is therefore one of the few seekers who is as consistent as he is dangerous and has been a vital part in all of Texas State’s deep bracket runs. It was this danger to other teams and consistency presented to his own team that also led Texas State to fail to develop a secondary seeker to prep for Gralinski’s absence. In addition to losing Gralinski, Texas State is also graduating a slew of ball carriers in TJ Martinez, Stephan Vigil and Donovan Mitchell. Training new ball carriers can be an uphill battle for even elite club teams, let alone a collegiate team, and each of these individuals were pivotal playmakers. Perry Walton showed on League City Legends this summer that he could be a major offensive threat and fill this void, but his temper and cardability will need to be reigned in before the Bobcats should become comfortable relying on his presence. And let’s not forget USNT alternate Jenna Bollweg and Hope Eaton have also departed—leaving a hole in the Bobcats’s catch-and-release offense. Last year’s quarterfinal and semifinal games did show cracks in the armor for the No. 1 ranked college team. They have a tendency to play down to their opponents at times when they should be dominating the field. 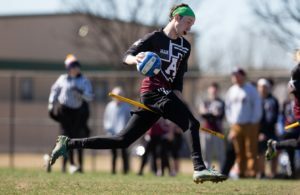 For all we know, Texas State could finally achieve the goal they’ve come so close to a multitude of times; however, they have an equal multitude of major losses to make up for and with roughly eight month’s time until nationals, they could do it. But so could everyone else. Texas State University has been a contender since World Cup VII, and this year is no different. Although Texas State fell short of expectations last season, they are facing less turnover than many other collegiate programs, including the retention of their entire beating lineup and several veterans quaffle players. 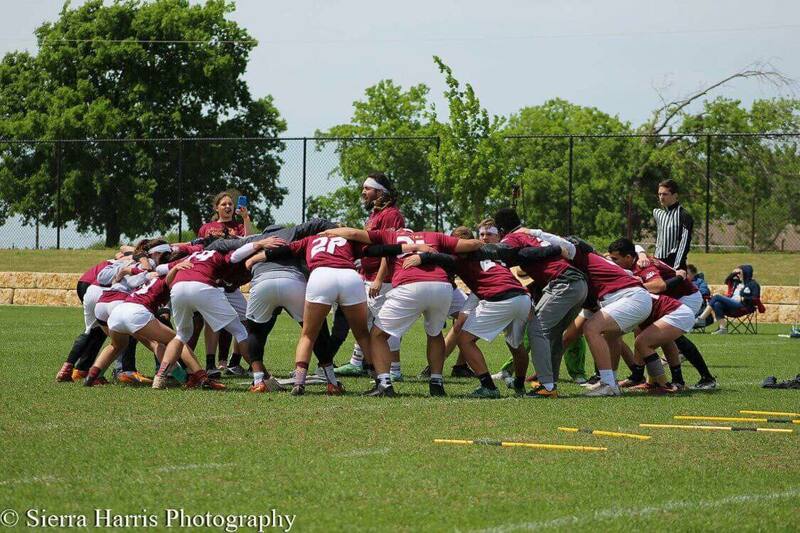 With a handful of players returning to Texas State from an eventful summer in MLQ, Texas State has a core group of experienced players that are eager to hit the ground running this season. With a chaser lineup consisting of Tim Nguyen, Melissa Kite, Eric Reyes, Audrey Fry and Perry Walton, Texas State already has a solid foundation to build upon with the addition of new recruits and former San Marcos Sharknados. 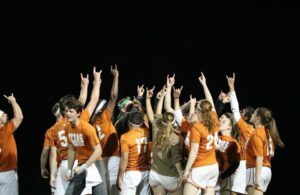 With roughly 60 new recruits and a handful of developed Sharknados competing to fill open spots, Texas State’s varsity team is shaping up to be just as competitive as ever. Texas State’s beater corps is staying virtually identical to the 2017-18 squad, with Ryan Nawrocki, Jessica Markle, Kristopher De La Fuente and USNT gold medalist Bailee Fields entering their third season together. This beater rotation has shown the ability to be effective against any other lineup in the country and is expected to continue with this standard for the 2018-19 season. While Texas State has the luxury of returning four proven beaters, they will need to focus on developing a few moreto help pick up the slack. Luckily for Texas State, there is no shortage of talent at this position, so depth should not be an issue. The biggest damper on Texas State’s potential this season will be in developing an elite-level seeker. With the loss of Steven Gralinski, Texas State will need to develop a trustworthy closer. With their beater depth and experience Texas State should be able to isolate the snitch for catching opportunities. As long as they can develop someone at this position, they will have all the pieces they need to beat any other college program. With all of the aforementioned experience and potential, Texas State is one of—if not the—favorite for this season. No modern-era team has been so close to winning nationals without actually doing so as many times as Texas State. With two second-place finishes and a Final Four finish last season, Texas State is yearning for the ever-elusive national championship. It’s time to go, cats, go.